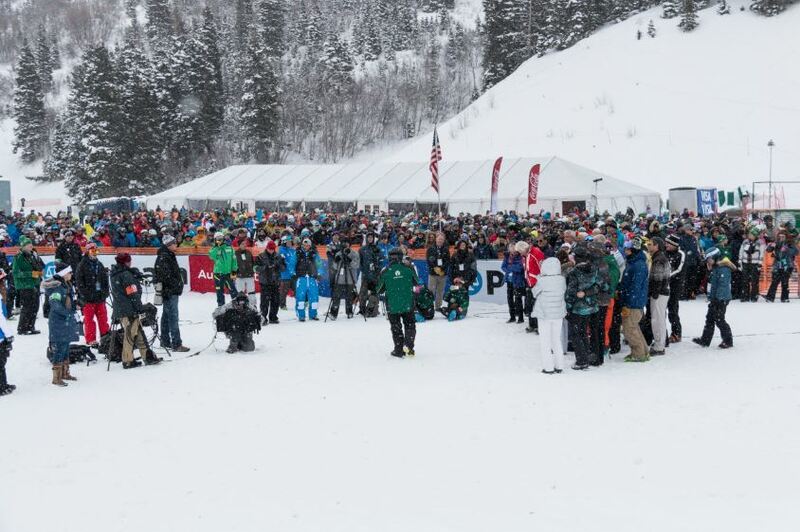 As the annual FIS Freestyle Ski World Cup events were held at Deer Valley Resort early this month. 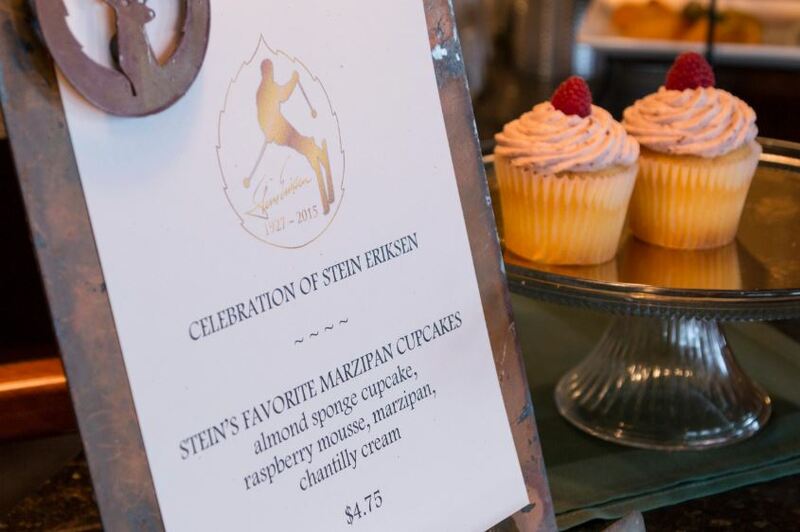 February 4 was chosen as the date for the celebration of life for the late Stein Eriksen. 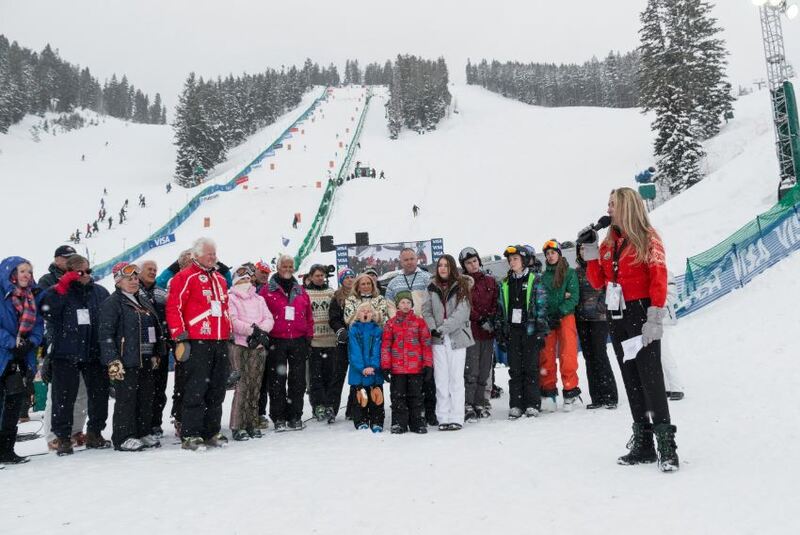 Both the setting and the snowy, ethereal weather provided the ideal atmosphere for reminiscing the legendary champion at the base of two freestyle venues that his persona and peerless ski talent helped create. Stein, who passed away on December 27, 2015, just after celebrating his 88th birthday, left an indelible mark on skiers all over the world. 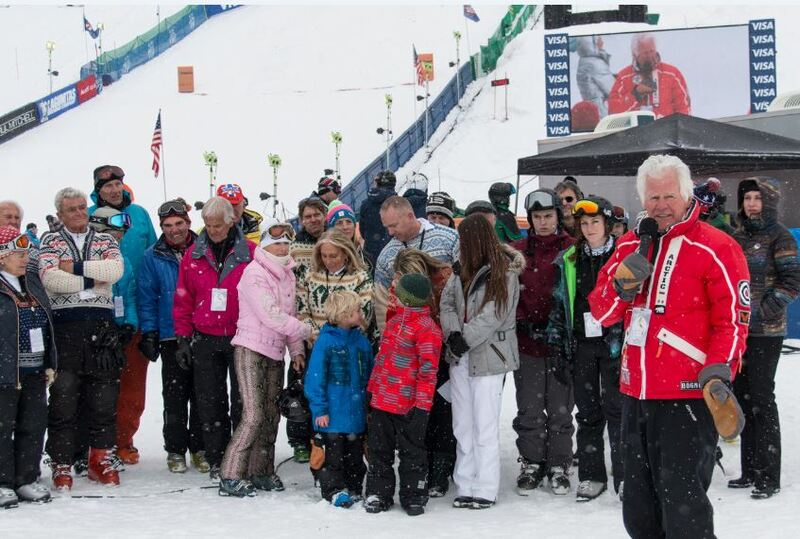 Stein Eriksen Tribute Video from Deer Valley Resort on Vimeo. 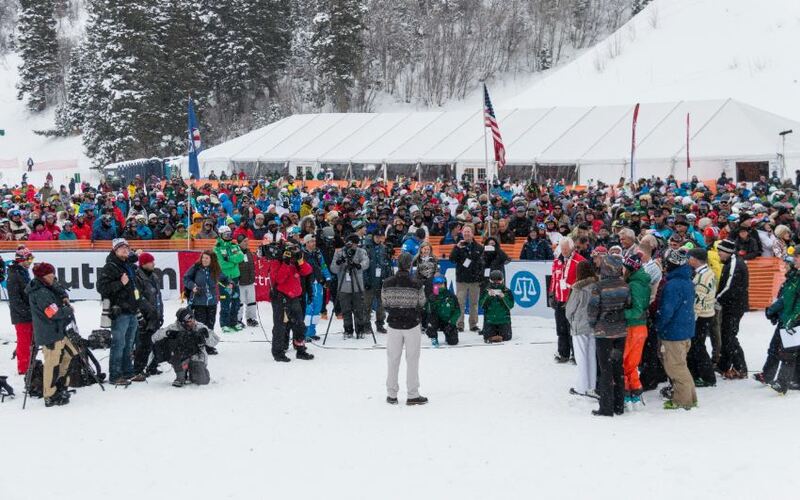 The event, emceed by Tom Kelly, vice president of communications for the U.S. 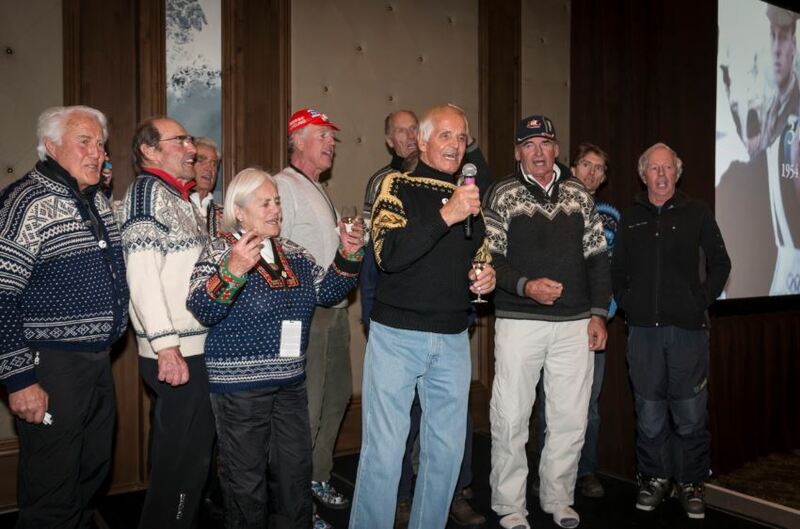 Ski and Snowboard Association, brought Stein Eriksen’s family and friends together, including Françoise, his wife of 35 years, his children, as well as many ski personalities, including Park City’s own Ted Ligety and Steamboat neighbor Billy Kid, and many more that met him along the way. I couldn’t agree with Bob more; on snow, the former World and Olympic Champion was literally “floating” on snow like a feather. This effortless technique is the gracefulness that Bob Wheaton was alluding to, and is what made Stein unequaled. I’ll never forget Stein Eriksen’s impeccable style and refined demeanor; not just at official functions, but deep and consistently into his day-to-day life. 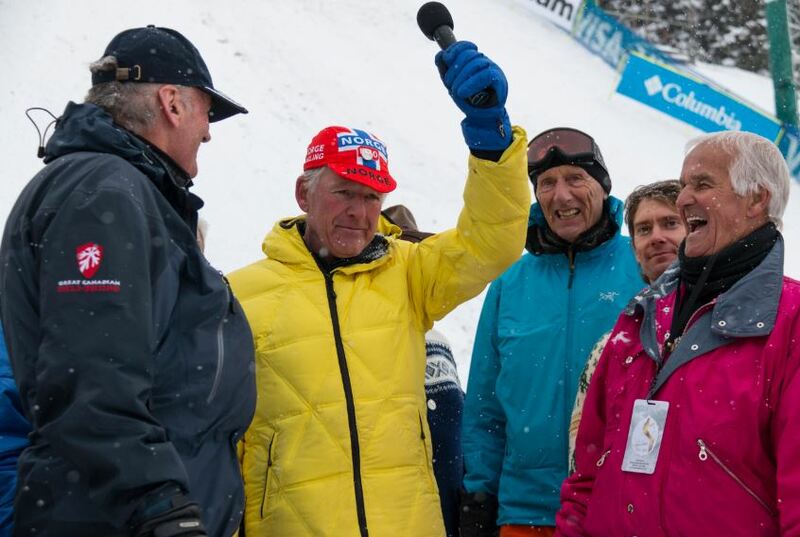 In the presentation Tom Kelly reminded us that Stein wasn’t just the Olympic winner of gold and silver at the 1952 Oslo Winter Olympics or the triple gold winner the World Championships in Sweden in 1954, he was also the father of modern freestyle skiing with his famous front flip and other aerial maneuvers. Aerial athletes are perfecting tricks in today’s competition because of Stein. 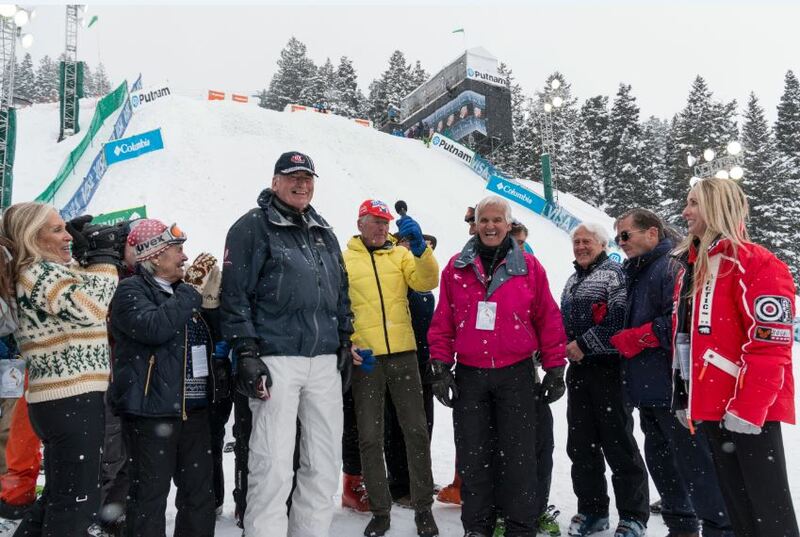 In recent years Stein continued collecting recognition; he was inducted in the Ski Hall of Fame in 1982, knighted by the King of Norway in 1997 and was inducted into the Professional Ski Instructors Hall of Fame in 2013, among other honors. 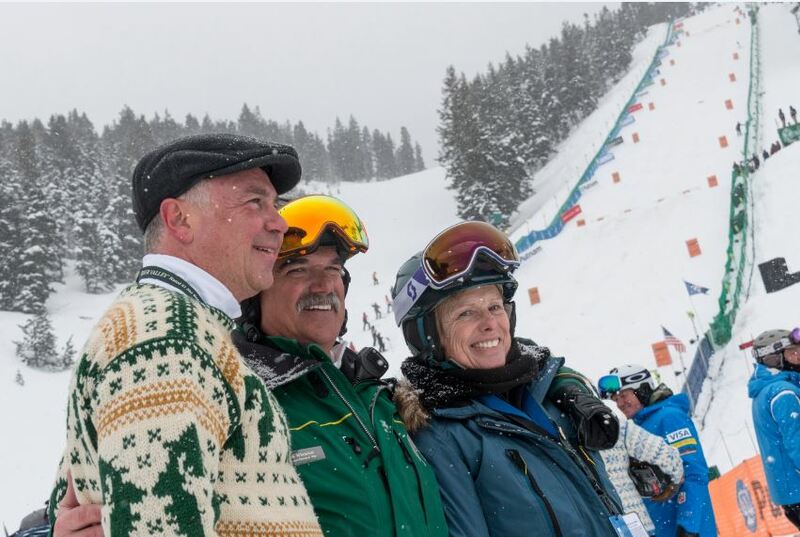 His daughter, Julianna Eriksen, and friend, Rosemary Bogner, shared memories of Deer Valley’s beloved Director of Skiing. 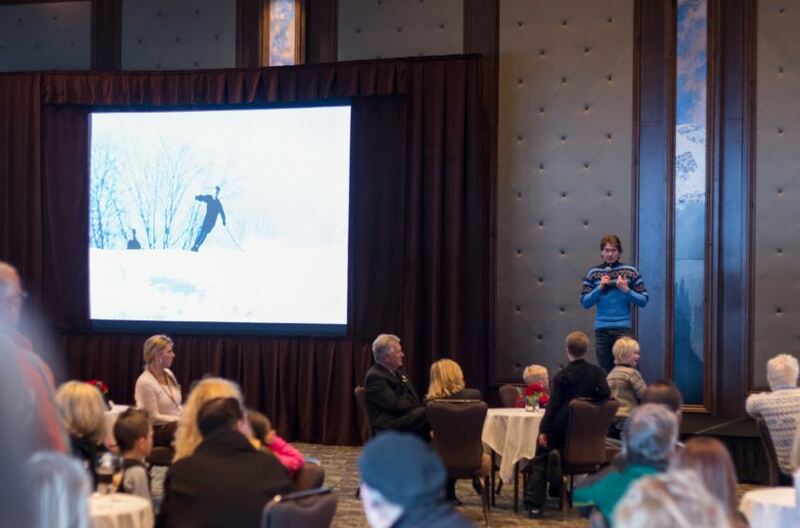 Stephen Kircher, son of Everett Kircher, the founder of Boyne Mountain in Michigan, took the stand to tell the audience how Stein started his successful North American career with moving anecdotes of the great champion. Then, apparently coming out of nowhere and soaring high up from the freestyle jumps above, Dylan Ferguson, an aerialist athlete on the U.S. Ski Team, performed Stein’s famous front flip with 210 cm skis, sporting the traditional ski sweater and stretch pants from the 1950s. For that entire moment, the magic was back and the crowd cheered! Aerial Demonstration of Stein Eriksen’s Famous Front Flip. from Deer Valley Resort on Vimeo. 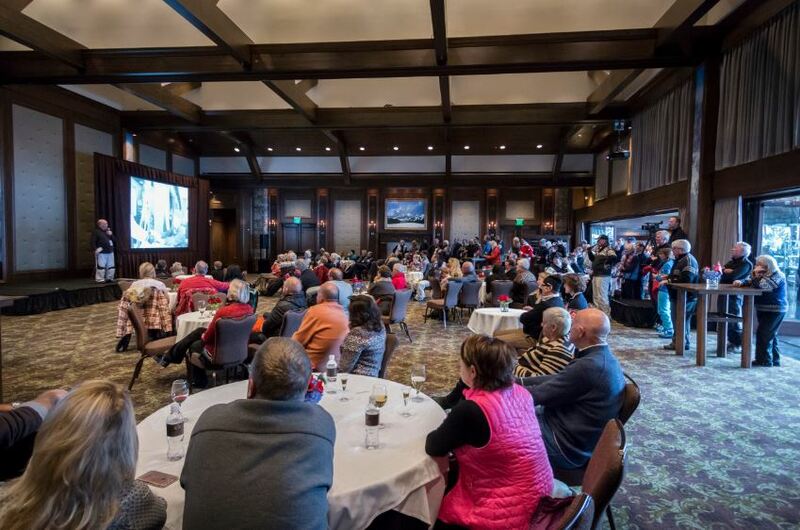 Photos from the Stein Eriksen Celebration of Life at Deer Valley Resort on Thursday, February 4, 2016. I first knew of Stein when I was about the age of 7. A huge black & white photo of Stein doing his famous flip was mounted on the side of the lower terminal building of Brighton Utah’s Majestic chair lift. 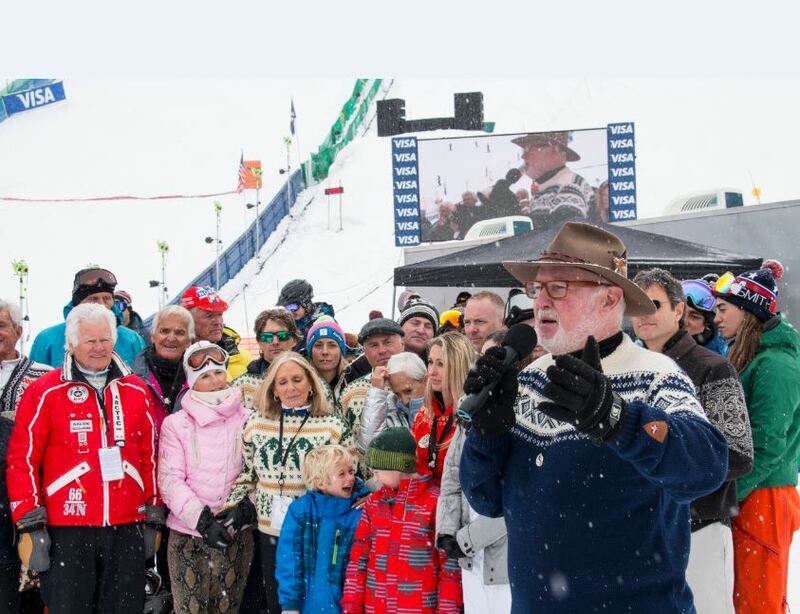 Our first meeting was in 1972 when Stein was introduced to the Park City Ski School as the resort’s new Director of Skiing. There were about 75 of us lined up in the ‘Meadow’ as Stein introduced himself. As he neared the end of his speech he was slowly side slipping down and said to the group please follow me and pointed to the instructor at the bottom end of the line and off he went. I was 3rd from the bottom. Stein picked up speed as headed out of the Meadow onto the trail heading to the top of ‘Silver Queen’ (the run). To everyone’s surprise instead of turning down on Silver Queen, he stayed on the trial out onto the ‘Crescent’ run. Now Crescent was all moguls with 12″ of cut-up powder from the night before, and Stein was really moving by now! I was totally dazzled watching Stein go into turns and come out even faster! The conditions were tough and I was amazed just watching him ski so beautifully. Believe me I was doing the full ‘grovel’ just to keep up with him as the 2 instructors between us both went down. We made it down Crescent, I by doing everything I could just to haing on and watch the most beautiful skiing I had ever sceen. As we reached the bottom Stein looked over his shoulder to see who was still with him and we sort of bonded at that moment as I was right behind him while the rest of the group was in various stages of still getting down the run. (one of the highlights of my life). Fast forward to 1975 as Stein was named Ski School Director. Stein informed everyone he would be starting with a clean slate by having a 6-day ‘hiring clinic’ and all were invited to try out. 160 instructors participated. We were tested on everything from skiing and teaching skills to the names of the runs and locations of the on-mountain emergency phones. We were scored on everything including a written test. The accumulated scores were totaled, and this became Stein’s ‘Ladder’. The top 4 or 5 became his supervisors and the ladder list was posted. I was 7th. Working for Stein was another highlight of my life. To say it was really really fun would be an understatement. He was just the ‘coolest’ ever and he showed up at the Ski School Meeting Place every single morning! He was so kind, so engaging, and so mush fun! What a treat! Fast forward to 1978. Stein left Park City after 2 seasons as Director. He joined Edgar Stern to help with planning the new Deer Valley. I along with 9 other Park City instructors were invited by Stein to join him for a day of ‘Cat’ skiing on the newly cut runs of Deer Valley. 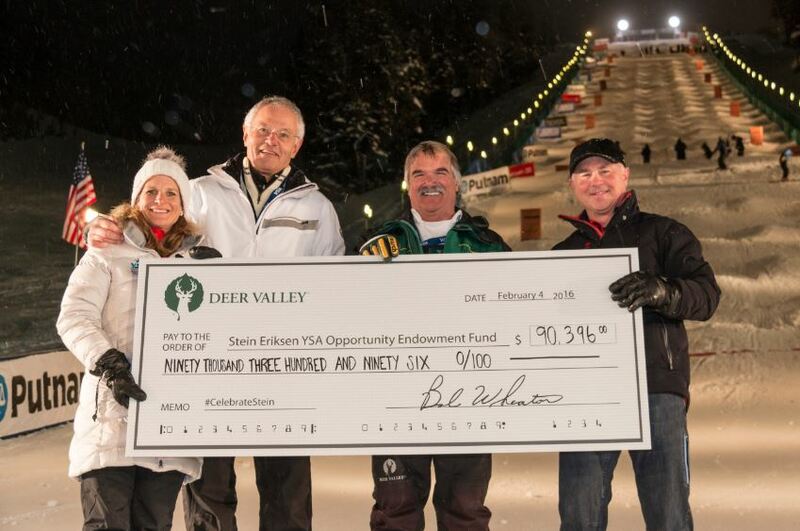 He extended to us offers to be instructors in the not-yet-formed Deer Valley Ski School. DV logo and we would see which one was selected. I was definitely appreciative of Stein’s efforts and confidence in me. I came in 2nd. The Stein Eriksen Lodge was up and running and Stein contacted me saying he was working with a group from Nampa Valley to create a Stein Eriksen wine and would i be interested in designing his wine label. 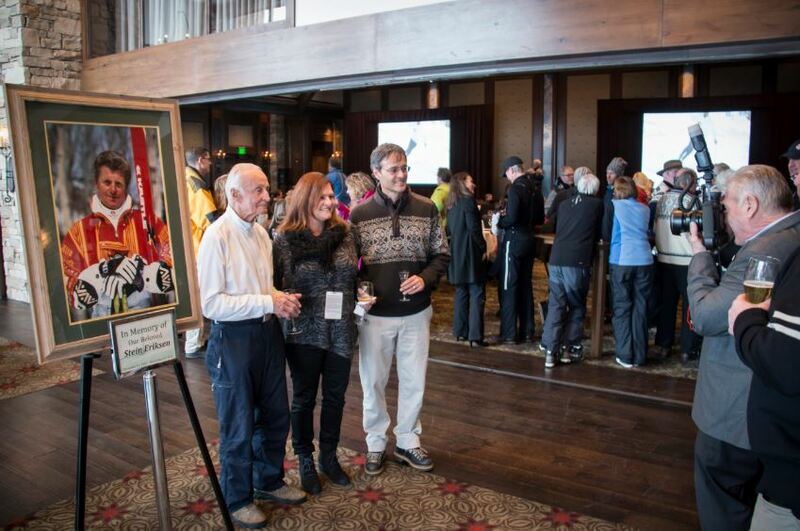 I had previously made the exterior signs for Stein’s ski shop on the Plaza at the Park City Resort. Again I was flattered that Stein would ask me. It was a fun project. Deer Valley. His opening order of 400 Robert•John ski suits put us on the map. In closing I can only say that having the good fortune knowing and working for and with Stein and being able to call him my friend was one of the great highlights of my life!